If you're one of the Black Friday shoppers out there today carting home a deeply discounted flat screen television, your next task is figuring out how to hang it safely on your living room wall. Maybe you plan to get a stud finder and drill and screws and metal brackets and start making holes in your walls. But researchers at UMass-Amherst want that process to become a thing of the past. They believe that hanging TVs and other heavy objects could one day be as easy as putting up a poster with double-sided tape. And if they're right, you may one day be able to take a square little adhesive device the size of your hand, stick it to a wall, press your massive TV onto it, and be done. That adhesive device is called Geckskin and it's inspired by the super-adhesive foot pads of geckos. WBUR's Sacha Pfeiffer spoke with one of the researchers about this technology, which some futurists hope could even help firefighters scale burning buildings. Duncan Irschick, professor of biology at UMass Amherst who helped develop Geckskin with Al Crosby, a professor in the Polymer Sciences and Engineering Department. Duncan Irschick: Geckos don't leave any residue, and that makes that very unique relative to adhesives such as duct tape or Scotch tape, which leaves a kind of a sticky residue. Gecko adhesion is what we call dry adhesion, and their secret behind their dry adhesion is that they have miniature little hairs called setae, which are very soft. Those can form to surface much like draping, like a tablecloth draping over a surface. But what our product Geckskin actually does it not just mimic the properties of these miniature hairs, which everyone else has also tried to do, but also look at the internal anatomy of geckoes, specifically their tendons, which go from bone into skin, and that acts as a very stiff backing to this soft substrate. And the combination of a very stiff surface attaching to a very soft one is the key element in enabling dry adhesion in geckoes and in Geckskin. Geckskin actually uses a soft pad, which is similar to bathroom caulking — very soft rubber-like material used as fabric, which is very stiff, and then uses a very stiff kind of tendon-like system attached to them. These three parts — the pad, the skin and the tendon — together integrated into Geckskin, so it enables it to produce really powerful adhesion that can be reused and is inexpensive to make and is very powerful. Sacha Pfeiffer: This research was originally funded by DARPA, the Pentagon's research arm, so what are the possible military applications of this? Uh, at this point I cannot comment on that. Is that because it's top secret? Uh, I can't really comment on that. What about commercial applications? Besides hanging a big TV on a wall, how could Geckskin be used in everyday life? Geckskin can be used in a wide range of applications. You mentioned one of them — potentially hanging a TV on a wall — and I think that's a brilliant application. Simple devices for picking up objects, such as glass or other smooth surfaces, which normally are very hard to pick up, and then they can be easily released. They could be used in industrial applications, such as in robots or other biomedical applications, such as the potential in the future of bandages or skin-like apparel. They could be used on apparel and also enclosures, such as a little strap or something of the sort. So there's a very wide range of applications they can be used for commercially. What about emergency responders? Could a firefighter have a Spider-Man-like quality by using Geckskin to scale a building rather than climb a ladder? I think I'l leave you to devise your own interpretation of the possibilities! Of course, using animals as inspiration, or animal design as inspiration for human science, is not new. But tell us what you've learned about trying to mimic through engineering and physics what animals have acquired through evolution. The whole study of bio-mimicry, which essentially looks at what animals do and then tries to replicate it for human design, has been a long one. And I think one of the big lessons we learned from Geckskin is that it's a mistake to simply look at what animals have and replicate directly. Evolution never goes to what's really great; it only goes to what's good enough. Geckoes don't need to hold 700 pounds on a wall. They only need to support themselves. There's a lot of parts of the gecko adhesive anatomy that are simply only good for them. It would not be good for humans. So what we did is we didn't replicate all elements of the gecko anatomy. We replicated a few key elements, such as the tendon system. We didn't replicate others, such as these little miniature hairs. We felt that those are redundant and those were not useful. We have human ingenuity and human chemistry that can replicate that. Is Geckskin a commercial product yet? I mean, can we go to a store and pick up a roll of it? No, at this point it's not a product that anyone can buy off the shelf. We hope that that will be a possibility and we are working with a number of companies and the University of Massachusetts Amherst to commercialize this technology. And if it does end up in stores — let's say it's in the tape aisle of Home Depot — how much would it cost, do you think? I can't tell you exact cost, but I can tell you it would be very comparable and very cheap, because the materials that are used to make Geckskin are everyday materials — bathroom caulking, nylon, fiber, that kind of thing. And these are things that, once easily constructed and manufactured, are very easy to make and very easy to produce and to sell at a very competitive price. Irschick and Crosby created a start-up called Felsuma to commercialize Geckskin. Their team was one of the winners of the 2013 NASA Launch Challenge. Read their winning presentation (PDF). Military applications of this product? Using Geckskin, DARPA's Z-Man program "aims to develop biologically inspired climbing aids to enable warfighters to scale vertical walls...while carrying a full combat load, and without the use of ropes or ladders." This segment aired on November 29, 2013. 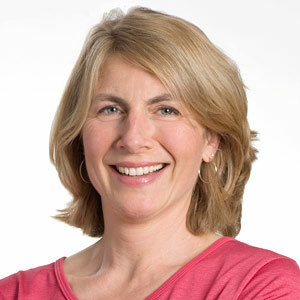 Sacha Pfeiffer was formerly the host of WBUR's All Things Considered.